Peter Jones, MBA, is a principal/platinum business applications consultant with SAP Professional Services Consulting. He has more than 10 years of consulting and educational experience in a variety of strategic and leadership roles. 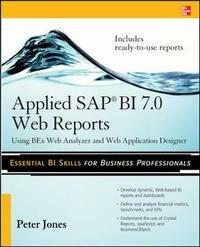 Jones is the author of SAP Business Information Warehouse Reporting.